The 2017 World Series of Poker Las Vegas kicks off today May 30, with the first bracelet event being the $565 Casino Employees event. Also taking place today is the $10,000 buy-in Tag Team Championship tournament. The biggest and most prestigious live poker tournament series features eight new events adding up to seventy-four bracelet events in the series. 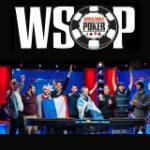 See all the new events on the WSOP 2017 schedule here. 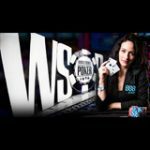 There is still time to qualify for the WSOP Main Event online at 888poker, the official sponsors of the World Series of Poker. Don't miss out on all the action as sin city comes to life for the biggest live poker series in the World. 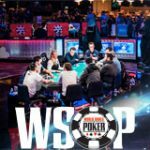 Fans can watch the WSOP live stream online of the final tables or tune in to ESPN for updates and highlights on selected events. 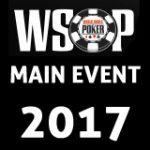 888poker are having a great promotion where players can win a prize package to the 2017 WSOP Main event or the Crazy Eights side event. For more information see the full 2017 World Series of Poker schedule for events, dates and times of all seventy-four tournaments in the series. 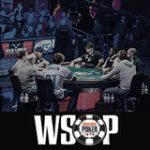 The WSOP series runs for 6 weeks taking place between May 30 - July 17. The World Series of Poker Main Event will see one of the biggest changes this year. 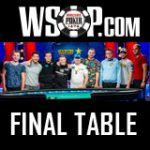 The WSOP November Nine players won't be taking a four month break before the final table instead there will be a two day break. The Main Event change is probably for the best as players will still be in the zone for the final table and won't be able to get much coaching during the break.